Really works well! Easy to remove knots and tangles. 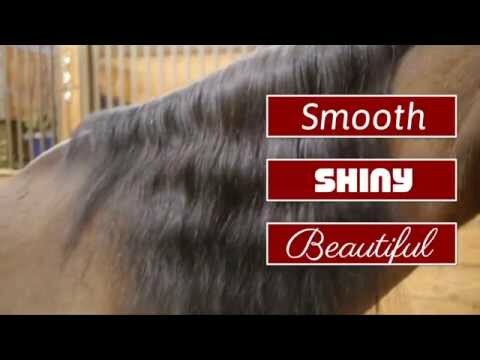 Make my horses manes and tails so smooth and soft, they always get compliments. I use mostly as a detangler. Wow the mane and tail are like silk using very small amount. I've used show sheen gel for years but I might not in the future. I have a eight ounce bottle I bought last year for $13.95. This year the bottle is half the size and costs 9.99. Highway robbery! Charge us more and give us less. I've used this for years. It doesn't cause my horses' mane to break like the spray on laser sheen did. Its easy to work into the worst tangles. I can rub on my hands without it dripping and run through their mane and tails easily. This was a new item I wanted to try. Don't know yet if I'll like it. I love this stuff for getting out all the tangles from my horses mane and tail. Gives it a nice shine and lasts for a while. Makes their mane and tail silky smooth. I hope that it will help get the hitchhikers out of my stallion's mane!